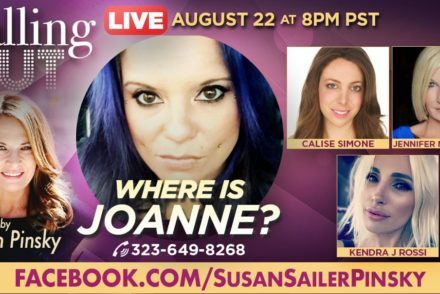 Four prominent Calling Out Clairvoyants investigate this unsolved missing person case. 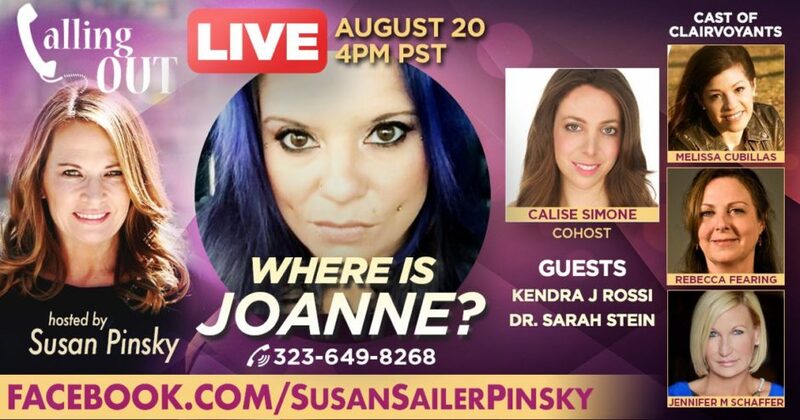 Mediums Melissa Cubillas, Rebecca Fearing, Jennifer M Shaffer and Calise Simone interview Jo’s sister, Kendra Jade Rossi and a private investigator on the case, Dr. Sarah Stein. If you have any details or information as to the whereabouts of Jo Ringer, please contact us at callingout@drdrew.com. Also available on Facebook/susansailerpinsky in video format.